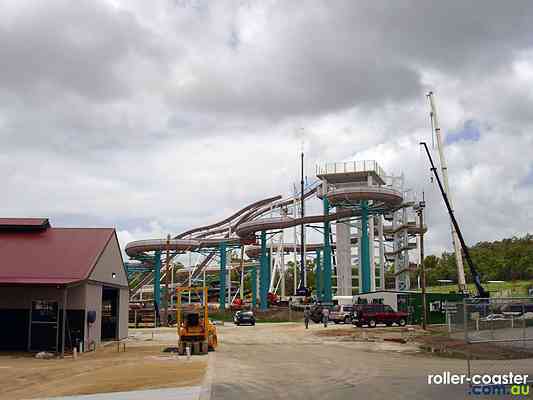 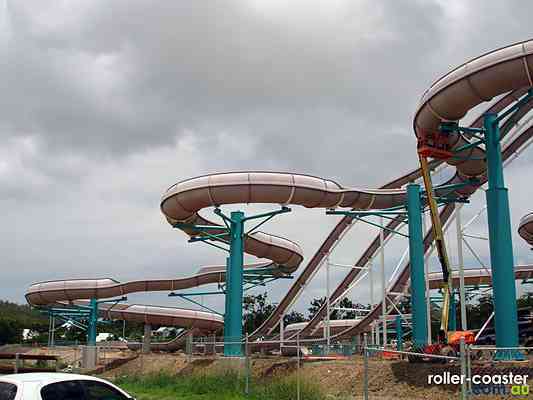 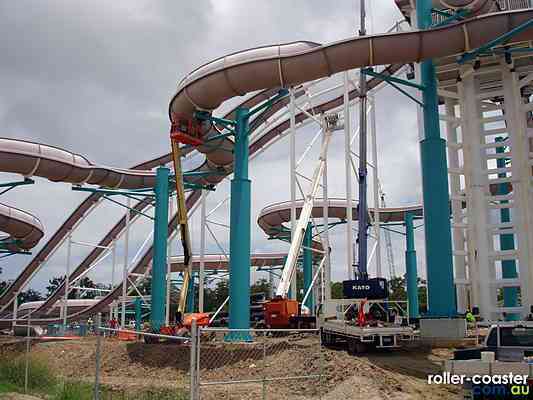 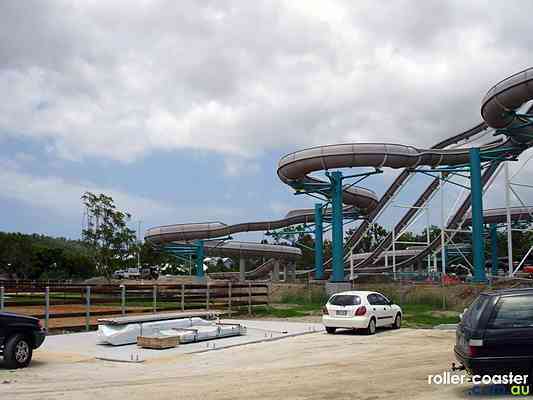 Current water slide at Wet'n'Wild Gold Coast. 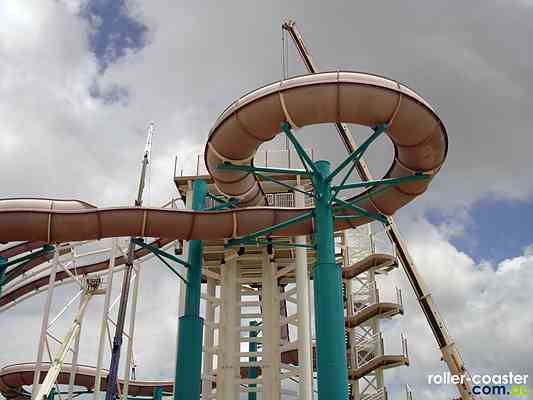 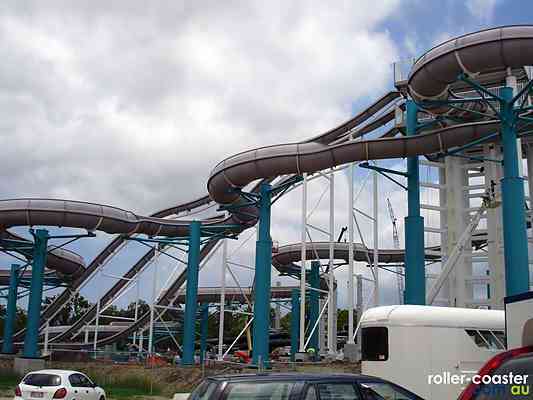 Pair of serpentine raft slides with 160 metres of twists and turns in open air flumes. 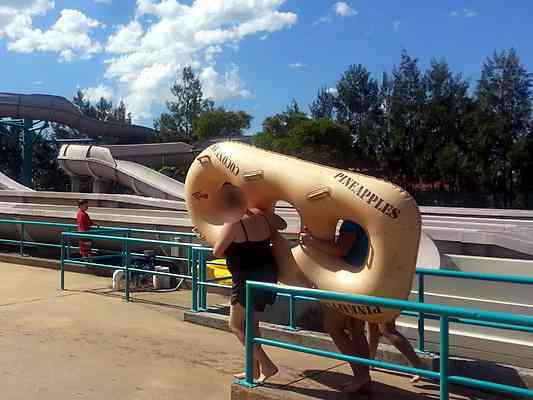 Riders sit inline in groups of three.